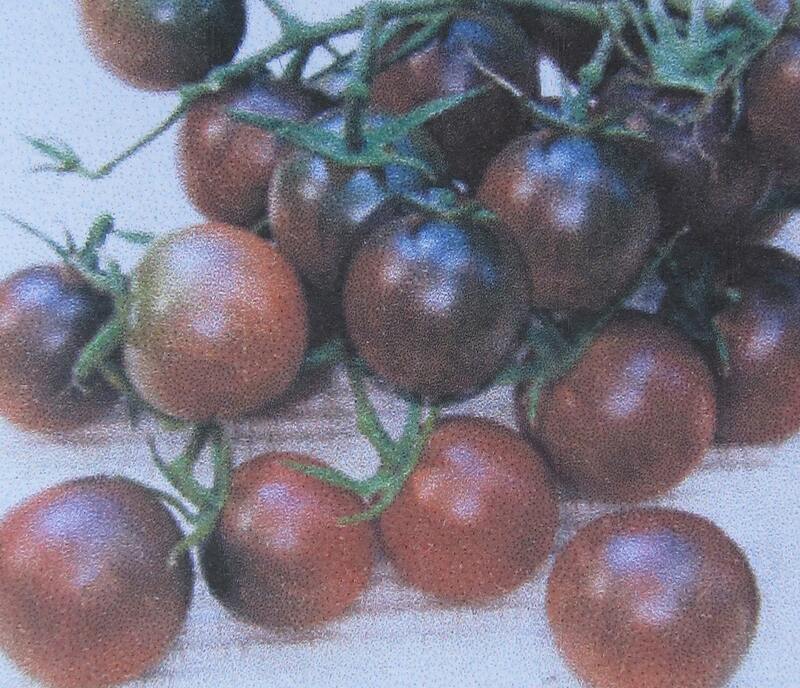 Black Cherry combines the smoky rich taste of the black tomatoes with the sweetness of the cherries. It wins raves everywhere, and as a dried fruit has even been mistaken for a tree cherry. Though the fruits on the vine have a beautiful opalescent sheen, the plant itself is a rangy sprawler, not a front porch ornamental. It produces heavily all season but needs hot days to bring out its full flavor.